The Red Stallion (1947): What’s That, Lassie? Timmy’s Fallen Down a Training Track? Any similarity to the cover of John Steinbeck’s The Red Pony is purely unintentional. 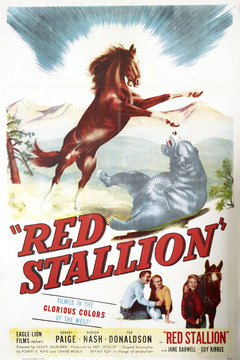 The Red Stallion was Hollywood’s attempt to create, in essence, a horsey version of Rusty the German Shepherd—a series of movies featuring an animal hero that would appeal to kids. (To the best of my knowledge, only two Red Stallion films got made, this and 1948’s The Red Stallion in the Rockies.) And for what it is, it does its job passably well, but that’s for what it is; it was a quickie attempt to cash in on a current trend. Done well, this sort of thing can be a classic (the obvious example being Black Beauty), but this is carbon-copy-out-the-door stuff, full of emotional shortcuts and manipulation. Which is not to say it isn’t still a fun movie if you’re in the mood for a family-friendly animal tale. 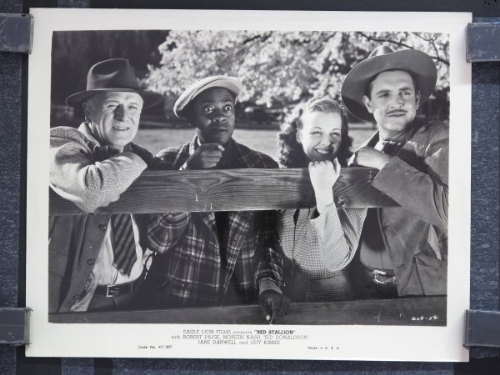 Seriously, this movie is so obscure that the only thing close to a screencap I can find is production stills being auctioned off on ebay? Not a trailer in sight. 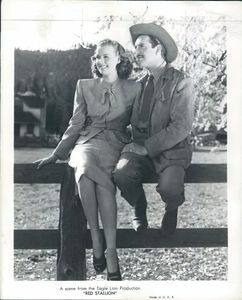 Posted in Movies, Reviews and tagged 1940s, drama, two-and-a-half-stars. Bookmark the permalink. Senki was Macedonia’s entry for the Best Foreign Language Film Oscar in 2007. It didn’t get nominated, although that’s the year the Academy infamously passed over 4 Months, 3 Weeks, and 2 Days as well. 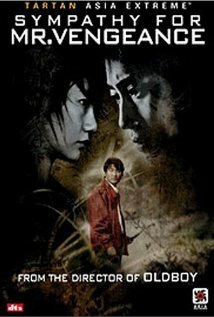 Not that this movie is anything close to 4/3/2, but it’s an interesting, if kind of derivative of Japanese New Horror, flick that combines the American TV series ER with Ring and its ilk to come up with something that you will at least not regret watching. Lazar Perkov (The Border Post‘s Borce Nacev) is a doctor who, at the beginning of the movie, is involved in a very nasty car accident—one of those “if your head had been a couple of inches the other way you’d be dead” kinds of things. But he survives, and attempts to move on with his life. The only problem is, he’s starting to see weird things, things that no one else can see. Being a doctor, he suspects some sort of brain injury, but is it? Or could it be something more? Trailer. Subs? Don’t be silly! I’ve seen a number of the “mockbusters” put out by The Asylum over the years, and they’ve all been crap. 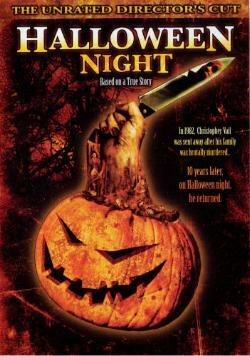 And then there is Halloween Night, which may have been the first of the mockbusters, after they decided that actually putting out good, original films wasn’t getting them anywhere (they were responsible for King of the Ants, Stuart Gordon’s best movie since the mid-eighties, before they went down this path, for example). It is certainly, of those I have seen, the least obvious a copy of the movie it apes. It is also the most watchable of the mockbusters I have seen; I do not believe these two things are unrelated. I have only one burning desire, let me stand next to your… ah, forget it. Plot: David (Snakes on a Train‘s Derek Osedach in one of his last screen appearances before he headed behind the camera to become a full-time producer) is a guy who has been putting on haunted houses for Halloween every year, but really wants to amp things up, so he hatches a plan with his old college roommate Darryl (Bikini Spring Break‘s Jared Cohn) and friend Todd (YouCube‘s Nicholas Daly Clark) to spring on his guests. Meanwhile, however, crazed and horribly disfigured serial killer Chris Vale (You Don’t Mess with the Zohan‘s Scot Nery) has broken out of the mental hospital where he’s been held for the past ten years and is headed home… which happens to be the house where David is planning his hijinks. Put a serial killer together with a bunch of drunk kids and what do you get? …pretty much every slasher film made in the past thirty years, really. 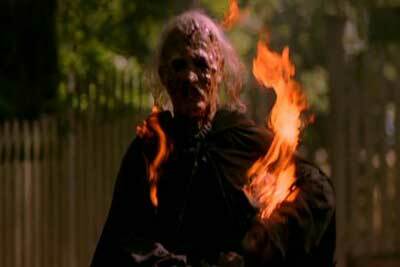 The Asylum, screenwriter Michael Gingold (Leeches! ), and director Mark Atkins (Sand Sharks) weren’t going for originality here, but they were at least keeping the Halloween references to a few in-jokes (Todd, stopped at a roadblock, mentions to the officer that he’s coming from Russellville, for example) rather than copying the movie as close to frame-for-frame as they could get away with, like they normally do. The Lost (2006): Gotta Ketchum All! “true story” is stretching it a bit, but not nearly as much as one might like. 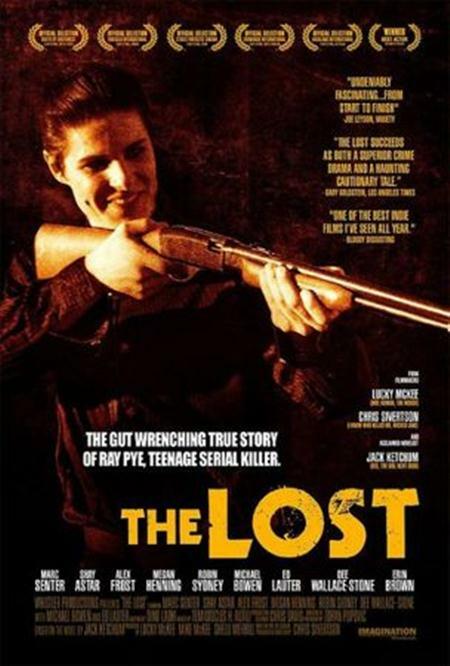 Chris Sivertson, longtime friend and colleague of Lucky McKee, was bitten by the Jack Ketchum bug right around the same time McKee was, and the first Sivertson/Ketchum adaptation, The Lost, appeared in 2006. All well and good, with a few caveats: (a) Sivertson (who would soon after be responsible for the Lindsay Lohan vehicle I Know Who Killed Me) is not nearly the director McKee is and (b) The Lost is not one of Ketchum’s better novels. Put these two things together and your chances of coming up with brilliance are pretty slim. 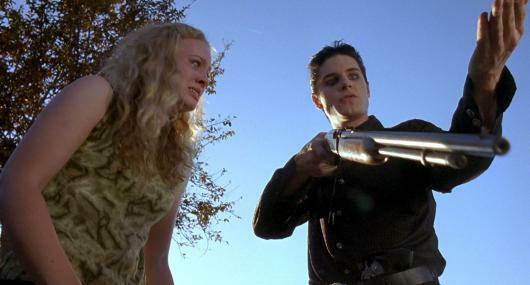 Before I go slagging this movie off, it’s obvious that a lot of people threw a lot of talent at it, and in hindsight a number of folks who didn’t do all that well here have really stepped up their game in the intervening years, especially Senter, one of the few bright spots in the recent The Devil’s Carnival. None of which changes that fact that even Ed Lauter, normally the most reliable of character actors, couldn’t turn in a solid performance to save his life in this movie, and I don’t know why. Sivertson’s not a great director by any means, but he’s not that bad. And still everyone involved in this movie (and I only touched on a few of the names you will actually know) seems to have phoned it in. Posted in Movies, Reviews and tagged 2000s, thriller, two-stars. Bookmark the permalink. I was wowed by Oldboy, like pretty much everyone else, and I thought Lady Vengeance was pretty nifty, too. But I had never gotten round to seeing Sympathy for Mr. Vengeance, the first film in Chan-wook Park’s celebrated trilogy, until recently. It’s the one you never really hear people going on endlessly about, and now I know why. Which is not to say it’s an entirely bad film, but held up to the others, it pales badly in comparison. Had you told me in 2008 that Hollywood would import Fruit Chan, the director of the phenomenal little flick Dumplings, to do Yet Another Asian Horror remake, I’d have laughed at you. If you then told me that Chan would bungle the movie almost completely, I probably would have been laughing so hard I wouldn’t have been able to breathe. 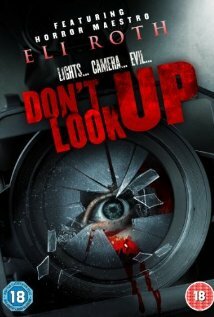 And yet here we are with Don’t Look Up, a remake of Hideo Nakata’s 1996 flick Jôyu-rei. And it is almost as horrible as the critics would have you believe. Plot: a film crew working on a low-budget horror picture (why can’t film crews in horror films ever be working on, say, a lavish costume drama?) discovers footage of a much older film shot in the same location by cult director Bela Olt (Inglorious Bastards‘ Eli Roth), who, according to the local folklore, went insane during filming, as did most of the surviving cast and crew after one cataclysmic night of bloodshed. Of course, the present-day film crew, headed up by equally obsessed director Marcus Reed (The Hills Have Eyes II‘s Reshad Strik) and producer Josh Petri (Gangs of New York‘s Henry Thomas), puts no stock in such stories…but after they view the old footage, strange things start occurring on the set…is the ghost of lead actress Lila Kis (You Don’t Mess with the Zohan‘s Rachael Murphy), or the witch she was portraying in that old film, haunting the new production? I considered coming up with another eye pun, but decided to save you the pain. Posted in Movies, Reviews and tagged 2000s, horror, two-stars. Bookmark the permalink. Helen (2009): They Will Say That I Have Shed Innocent Blood…What Is Blood For, If Not Shedding? The sound of a heart breaking. Ashley Judd is singularly excellent at playing people who are about to break down, in the process of breaking down, or have just broken down. 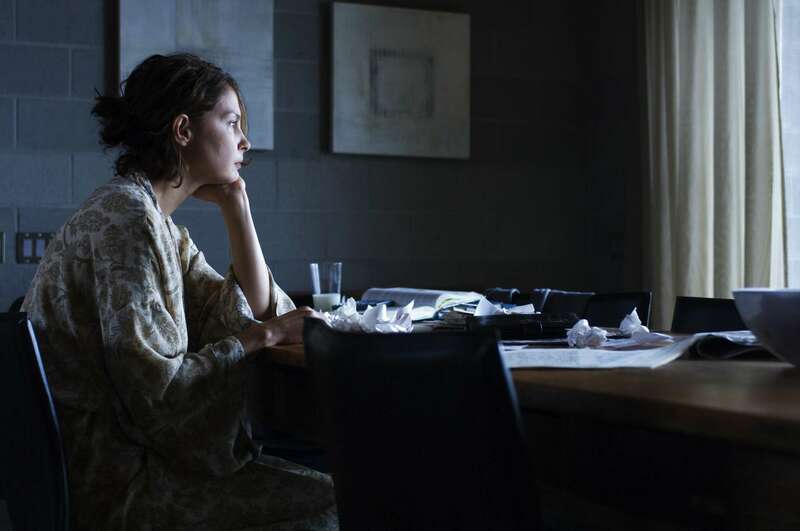 I’m not sure what, if anything, that says about Ms. Judd’s personal life, but it does make many of her performances schadenfreude-style treats when consumed on the big screen. And the first thirty-odd minutes of Sandra Nettlebeck’s Helen are described perfectly by this. Unfortunately, the movie runs two hours. Plot: Helen (Judd) and David (ER‘s Goran Visnjic) are a seemingly happy couple whose life couldn’t be better—that is, until Helen begins changing. It’s not much of a spoiler to tell you that she’s sliding into depression (like I said, this stage of the film is its first quarter, give or take). And we’re not talking rainy-day blues here, we’re talking crippling, life-threatening depression. She eventually hits bottom and deserts her family—and her doctor—to bond with Mathilde (Lie with Me‘s Lauren Lee Smith), a similarly-affected former student of hers, while David tries to figure out what went wrong and how to make it better. White crosses stand against the silken black. Let’s stay and never come back. It’s impossible to get into the meat of why the last three-quarters of the movie don’t work without what some may consider spoilers, though they have to do with the experience of depression rather than things specific to the film, so I will throw in a spoiler alert here and let the reader beware. The problem is that “what went wrong” is, as will be instantly recognizable by anyone who has lived through this kind of depression or lived with someone who has lived through this kind of depression, the wrong question entirely to be asking. I have no doubt that was Nettlebeck’s point; the problem is that if her intention was to portray the ineffectual nature of David’s quest leading to almost causing his own breakdown, she perhaps did it too well, as watching it is almost as frustrating as living it. One review I read of the film recently said this is a lesson as much as it is a movie. Indeed. And the didactic nature is liable to grate on anyone who already knows the answer. Posted in Movies, Reviews and tagged 2000s, drama, two-stars. Bookmark the permalink.